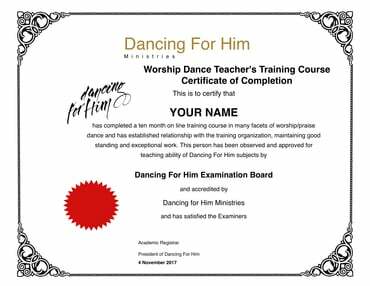 Those who desire to join the Dancing For Him On Line School that begins January 10th, may make an initial payment of $100, then subsequent payments in $100 increments, before school begins. You may make your pre-payments initially for at least $100, then in multiples of $100 by putting a 2, 3 or 4 in the quantity box. This means if you put a 1 in the quantity box, you will be charged $100. If you put a 2 in the $100 quantity box, you will have just paid $200. If you put a 3 in the quantity box, the system will withdrawl $300 and so on. You must come back here and make the rest of your pre-payments. It will not be done automatically. We will put your name on a secondary roster and keep track of your payments. Once you have completed your payments to pay your tuition in full ($600), then we will create a folder for you and put you on the primary roster. You will then (on or around January 10th), also receive your welcome letter, student information page link, private Facebook page and other vital information.